to make aging at home easier for you or a family member. Maplestone Construction is designated as a Certified Aging in Place Specialist by the National Association of Home Builders (NAHB CAPS). This means we are specially trained to work with aging adults to design and install accommodations to assist them in living at home longer. Whether you or a loved one is affected by these challenges, Maplestone can help retrofit your current home to meet your family's changing needs. We are seeing many empty nesters incorporate accessible options into their new downsized custom homes. Even though they do not need them now, they are planning ahead for a parent that may have to come live with them. Maplestone is the premier Triad installer of innovative home improvements to help Baby Boomers and their aging parents stay in their homes longer. 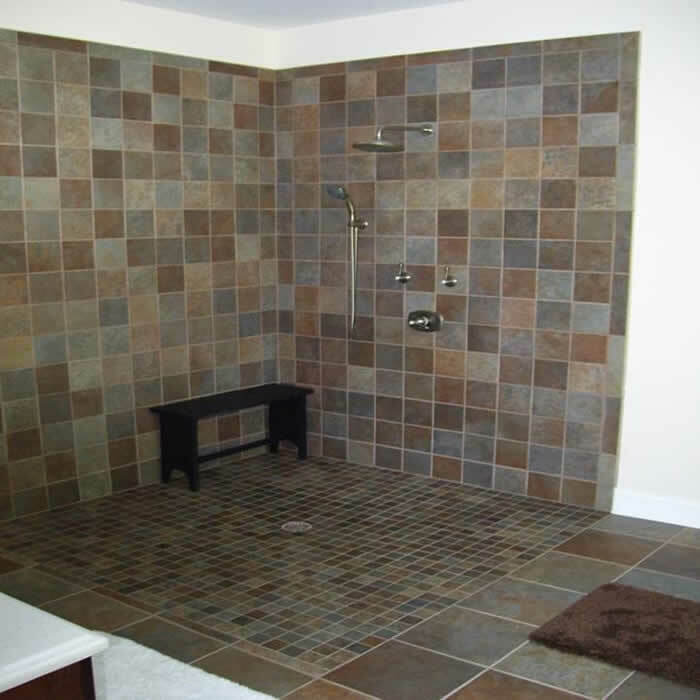 Features such as automated toilets, curbless tiled showers with a built-in bench, designer towel bars and toilet paper holders that double as grab bars are just a few examples of how Maplestone can design and build accessible, aging-in-place features into your bathroom remodel without sacrificing style. To schedule an appointment to find out how we can help you or a loved one live at home independently longer, call Steve McSwain at 336-776-8020 . Located in the old Clemmons Hardwoods building, we are less than 2 miles south/west of Hanes Mall Blvd.